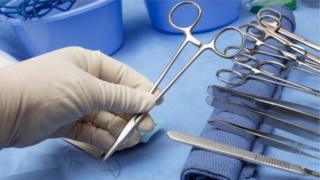 Poor morale among doctors could put patients at risk, the General Medical Council has warned. The doctors' regulator said there was "a state of unease within the medical profession across the UK that risks affecting patients as well as doctors". Conservative MP Dr Dan Poulter told the BBC that doctors are under pressure in specialty areas, such as paediatrics. The GMC noted that following the anger and frustration of the dispute between junior doctors in England and the Department of Health, levels of alienation "should cause everyone to pause and reflect". Analysis: Where now for the medical profession? The warning is included in the GMC's annual report into the state of medical education and practice in the UK. Its report also found that 582 fewer doctors had gone on to specialty training in 2015 following their two post-graduate foundation years, although a number take a break at this point to improve their skills either in the UK or abroad, or for personal reasons. Most doctors planning to take a break (86.5%) gave work-life balance as the reason - of those, 47% cited burnout resulting from their clinical placements. The GMC said this suggested significant pressure on junior doctors, but added that problems in the workforce were "complex and multi-factorial, and some are long-standing". The chairman of the Patients Association, Dr Mike Smith, told BBC Radio 5 Live that for junior doctors "it's a bit more than unease". Both he and Dr Poulter pointed to the breakdown of the "medical firm". Dr Smith said: "They don't have anybody to turn to - unlike when I was a junior doctor; we had a firm. "We had a registrar, senior registrar, consultant and if in the middle of the night you got something you couldn't deal with there was always somebody at the end of the phone who had more experience and if needs be would come in." Health lobby groups and charities have argued for some time that the NHS is short of money and under severe pressure. Now the GMC, which is usually above the fray, has entered the debate. In an unprecedented intervention, the medical regulator has expressed its concern about what all this means for the profession and patients around the UK. In effect it is saying that the NHS can continue to provide high-level emergency responses but routine surgery and care is going downhill. Using words like "distress", "state of unease" and "alienation", the regulator makes clear that the mood of doctors struggling to cope is a serious issue and one which needs the Government and employers to sit up and take notice of it. Dr Poulter, the former health minister who still works part-time as a doctor, said there is a "general feeling that there's sometimes a lack of support". He told BBC Radio 4's Today programme that in the decade he has worked for the NHS, morale is at the "lowest point" he had known in the last few years. He added: "The training needs of doctors are often subsumed by the need to meet increasing patient demand and need and expectation." And he added: "We now have quite big rota gaps in a number of specialities - with people, as it were, voting with their feet due to sometimes increasing pressures of work". There was a lack of doctors at middle grade level in paediatrics, obstetrics and gynaecology and in A&E, Dr Poulter said. "If we neglect doctors' training then that is something that is going to manifest in difficulties with patient care." 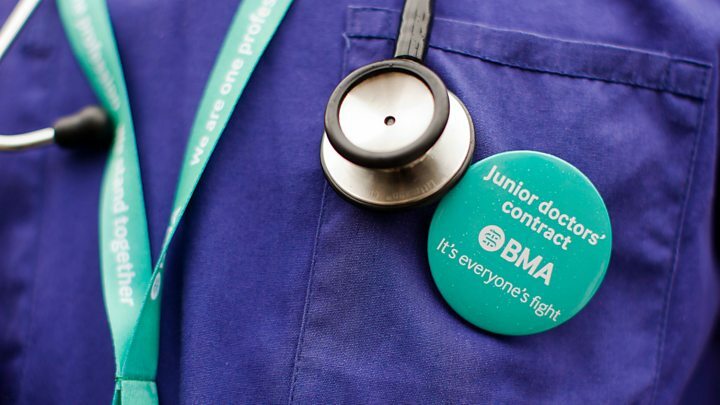 The British Medical Association (BMA) said: "Over the past year, junior doctors across the country have raised concerns about the reality of working in an overstretched health service and the impact that has on their morale and patient care." NHS Employers, which represents management in the health service, said the report highlighted the need for skilled foreign workers in the NHS, adding: "We welcome the insight the report gives into the huge financial and service pressures the NHS is under." Dr Poulter said there were real challenges, adding: "One thing that would help, I think, is some more positive rhetoric from the government - difficult industrial relations environment last year and some fairly negative and unpleasant briefings about junior doctors is something that needs to stop". A spokesperson for the Department of Health - which covers England, while the GMC covers the UK - said: "The dedication and sheer hard work of our NHS doctors is absolutely crucial to delivering world-class care for patients. "As the report makes clear, the standard of care provided by doctors working in the UK remains among the best in the world. 1.6 million more NHS operations now take place each year compared to 2010 and hundreds of thousands more people are seen in A&E within four hours. "The government is investing £10bn to fund the NHS's own plan to transform services for the future - central to which is listening to the concerns of staff."